Lots of Toddies gathered on Saturday in Mytholmroyd for the popular rebranded Hebden 22/15 run. This year the event was organised by new people and over 450 runners were treated to the usual hospitality expected from the event. 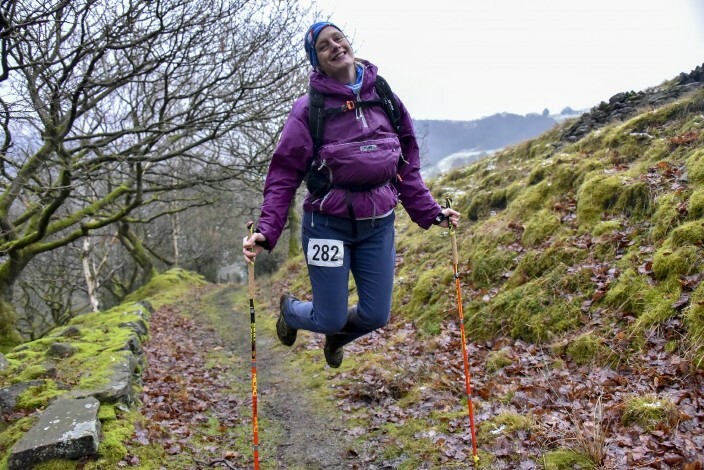 The event lets runners choose between the longer 22 mile circular route or the shorter 15 mile route, both finishing at the Methodist Church in Mytholmroyd, following paths around the outskirts of Hebden over towards Hardcastle Craggs, Blackshaw Head, Stoodley Pike and Cragg Vale. Peter Kerridge finished in first place on the Shorter route. Graeme Brown finished second in the long run after chasing down race leader Ben Mounsey at the end only for Ben to spot him and ran hard at the end. Other Toddies taking part were…. Results are not fully available at the time of writing.